Jay Arnesen is a retired police officer who now uses his experience and advanced training to represent clients charged with drunk driving (DUI) in South Florida, including in Coral Springs, Fort Lauderdale, and Pembroke Pines. 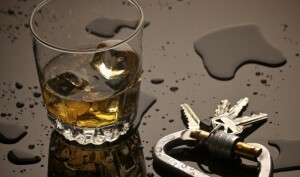 In fact, Mr. Arnesen has advanced training in DUI detection, standardized field sobriety tests, and breath testing. He also devotes his practice solely to criminal and DUI defense. If you or a loved one has been charged with an alcohol-related offense, contact our Fort Lauderdale or Boca Raton offices anytime at 754-581-8782 for immediate assistance. The initial consultation is always provided free of charge. Contact retired police officer Jay Arnesen for immediate assistance with your DUI charges. With offices in Fort Lauderdale and Boca Raton, he is available now at 754-581-8782 for a free consultation.